Giving hard to reach groups a voice, bring communities together. Delivers fun interactive inclusive events, create playful and challenging tools that inform and educate young people and adults. 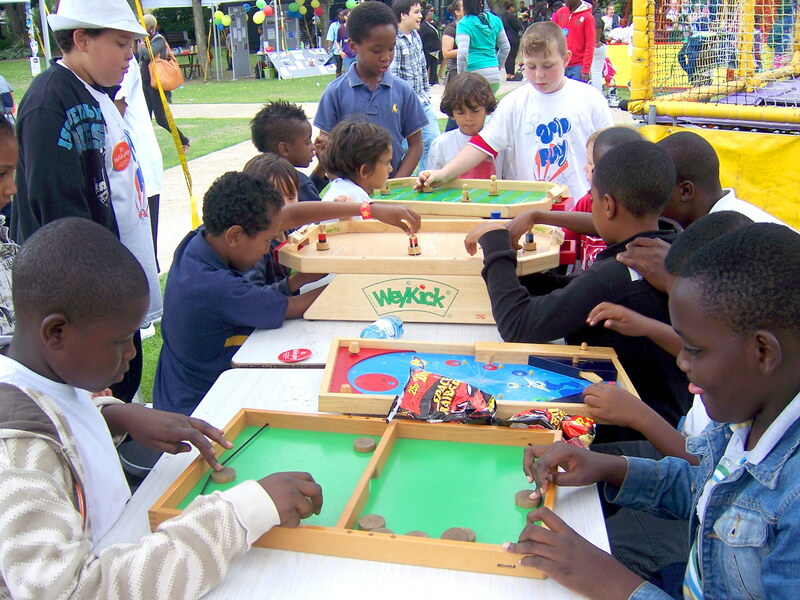 Game Playing Events popular, successful, engaging, inclusive and serious fun since 2000. Positive feedback from participants at public community events. Young people benefitting from direct and indirect engagement with our design projects. Positive feedback from volunteers who now feel more connected to their community. 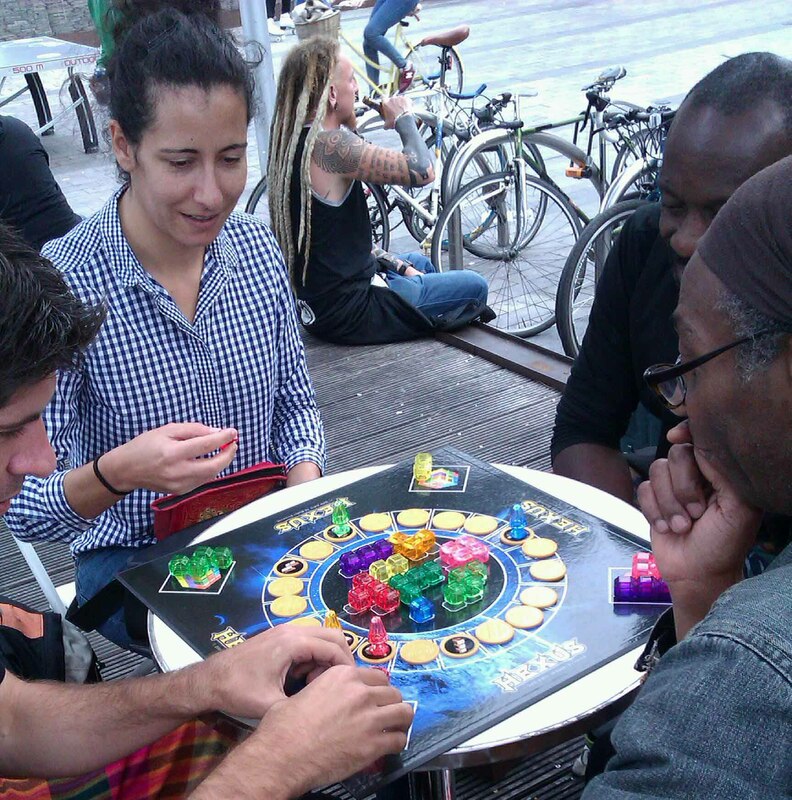 Universal Board Games are a pleasure to work in partnership with. They bring enthusiasm, expertise, high energy and commitment to projects which genuinely engage participants. Their innovative approach empowers participants and produces fantastic results. We have lots of ideas for future collaborations and can’t wait to get started! Very impressive game, very clever and the young people are very bright (The Good the Bad and the Ugly, stadium consultation game). This is one of the most productive projects we have ever done. (Hyperfactive drugs and alcohol awareness game design). Our games extravaganza hosted by Universal board games was one of the most effective team building and bonding exercises we’ve ever done. Our staff now know more about each other and their families than ever before through playing together. UBG have given care leavers in Wandsworth an amazing opportunity to create a tool to help other children in care or leaving care. The sessions held to create the tool really brought the young people together. The tool has really given the young people in Wandsworth a sense of achievement. 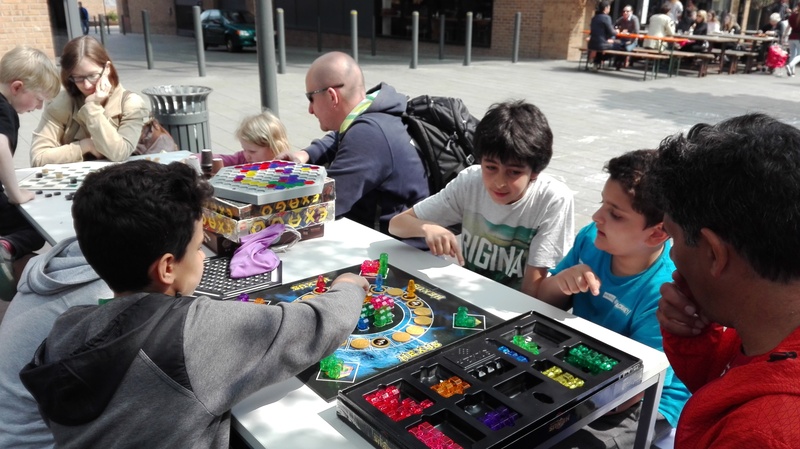 We recognise the importance of the work that universal board games deliver. They are very experienced at communicating and interacting with young people and offer engaging and fun activities which inspire and motivate. We have worked with UBG in different projects over the last 4 years and we find them to be reliable, enthusiastic, engaging and brilliant at communicating with all our library users. Not only do they bring fun and games to the sessions but are exceptional at transforming any event into a board game using people’s experiences and their artistic expressions. We were very impressed by the quality of the game UBG designed with children attending sessions at the Library. Monica SeverLibraries’ Children and Young People's Manager, Hackney. A wonderful session, I look forward to using the CARE game. 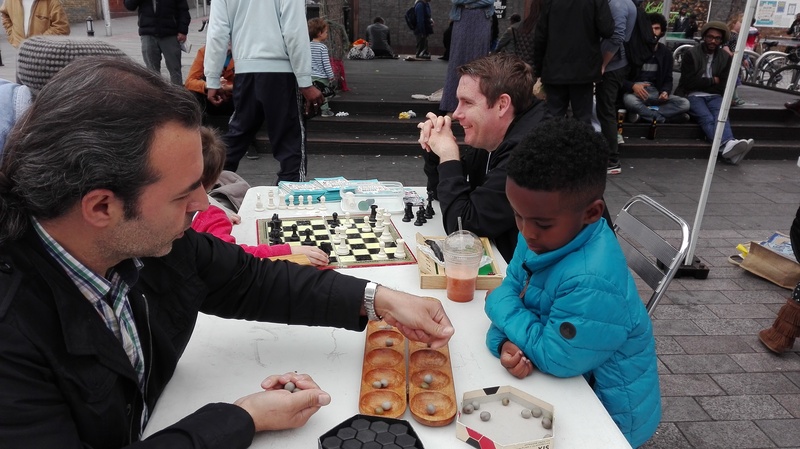 When the games are there, when there are positive activities in the square, it really lifts the atmosphere and makes it very welcoming and friendly for people of all ages. 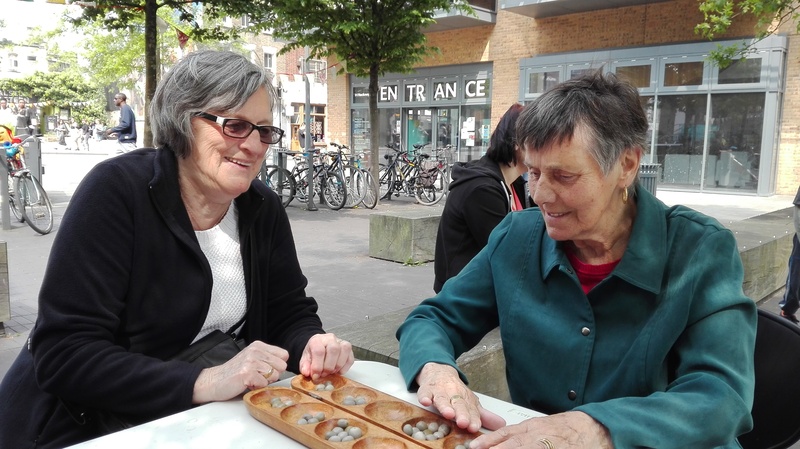 We have worked with Mem and Vicky at Universal Board Games for over a decade and are always impressed with their ability to work with people of any age, ability and background. 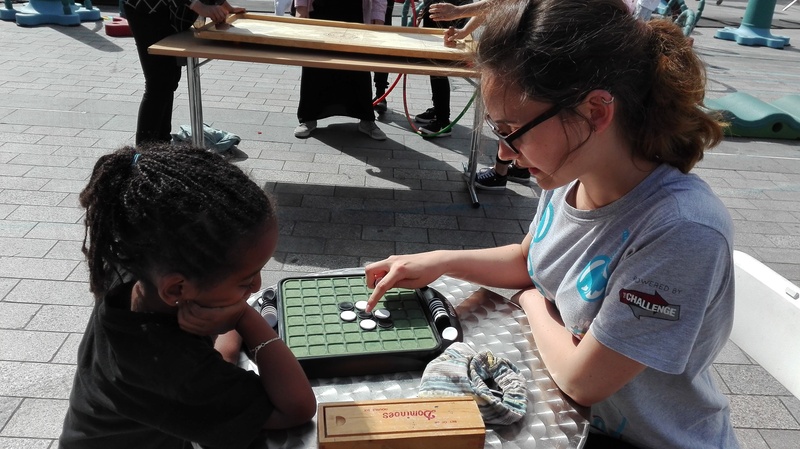 Their workshops are truly inclusive and always good fun, and the games they design and make in collaboration with children, young people and families have a lasting impact for the people they collaborate with and the wider audiences that play the games.